Still in my first week of ketogenic diet but I am really proud of myself today! 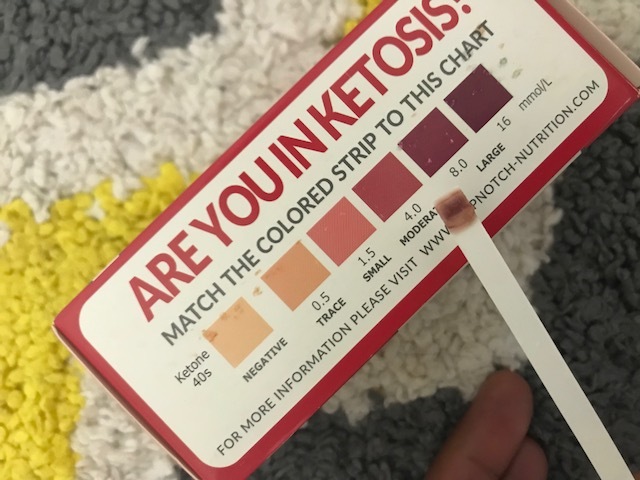 I ordered the keto test strips at Amazon and I got them yesterday. Today I woke up and the first thing I did was to take it. The results? Positive! That means that what I have been doing this first week is right. I have been reading a lot about this diet, but I don't really want to call it diet, I want to look at it as a lifestyle so I can keep on doing it even though I reach my goals. I have read that one of the side effects of this lifestyle is to get the keto flu. It implies headaches, dehydration, dizziness, and other symptoms. That is supposed to happen during the first weeks while your body gets adapted to the new foods you are eating. Personally, I have not felt any of those. I feel good and healthy, I have energy and I don't have any pain. I have really liked the results I have seen so far. As I told you yesterday I have not weighed myself but I can notice some pounds off. Also, I have noticed a boost in my energy levels and my mood. I was telling a friend today that I actually feel really happy, I am in a whole new mood. I see everything with Pete the Cat's Magical Sunglasses (a child's book about seeing everything in a whole new way). Also, I want to share a very simple recipe that I prepared today for lunch. As I told you I am a teacher, so I am lucky to be still at home in the summer vacation which gives me time to cook good meals. Let's see how I deal with it once we start classes in mid-August. Today I prepared chicken breasts with pesto and mozzarella. I put them in the oven for about 20 mins. Also, I made some snow peas over olive oil, with some salt and pepper. And I ate a tablespoon of garlic hummus. This meal has 8 grams of carbs. To measure the amount of fat, carbs, and protein that I eat, I am using a great app called Carb Manager. It is amazing because you track all the foods that you eat during the day and it tells you if you reach the goal or if you are missing some of those nutrients. 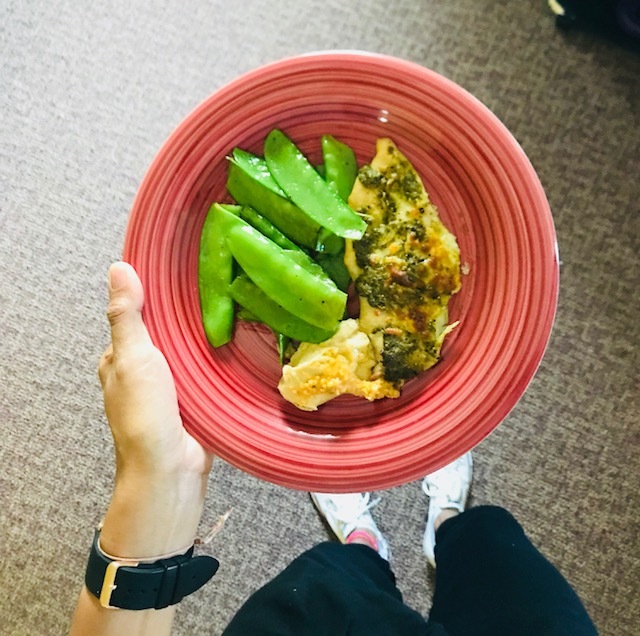 I eat 5 grams of carbs, 25 grams of protein, and 70 grams of fat (that is why this blog is called #2muchfat).